I was born and raised in Lincoln, Nebraska. I am a graduate of Lincoln Pius X, Nebraska Wesleyan University and the University of Nebraska Medical Center, College of Dentistry. As a dentist, I began practice in Manhattan, Kansas in 1999. In the fall of 2001 we moved back to Lincoln to be closer to family and to return to the community we love. I had the opportunity to work with Dr. Jim Ganser, my mentor and friend, here at Optimal Dental for the next 12 years before he retired. I love the profession of Dentistry. I really enjoy the technical aspect of the profession; however, the most fun for me is the people we have the good fortune to serve. It is so fun to develop special relationships with both the staff and our patients. I look forward every morning to going through our schedule and finding out what “friends” we get to see. It is my continual quest to always determine how we can be a better practice for our patients. We continually evolve our facility, products, and technology to be the best we can be for you. I make an effort to seek out the best continuing education that is offered. I often times exceed our professional requirements required for C. E. by 100 hours in a year. I simply want to be the best practitioner I can be with a very diverse approach to Dentistry delivered at a high aptitude. I have been blessed to be married to my wonderful wife, Jocelyn since 1996. Being involved with our three children, Collin (2000), Grant (2001), Tessa (2006), consumes most of our time outside the office. My current interests include everything they are involved with. I enjoy playing golf, being involved with our church, watching a good movie or reading a book, when time allows. The professional associations I belong to include the Lincoln Dental Association, the Nebraska Dental Association, the American Dental Association, the International Association for Orthodontics, and the American Orthodontic Society. I originally grew up on a farm outside Nebraska City. I attended UNL and then The Nebraska College of Dentistry, graduating in 2008. I began practicing with an office in Corvallis, Oregon. After two years, I desired to further my education and moved to Kansas City to participate in a one year Advanced Education in General Dentistry (AEGD) residency. After completing my residency in 2011, I was excited to return to Nebraska to be closer to family and friends. 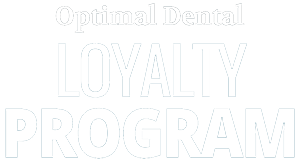 I joined the team at Optimal Dental in 2014 when Dr. Ganser was ready to retire. I also teaches half a day a week at the University of Nebraska, College of Dentistry. I love having the opportunity to create lasting relationships with patients and help educate them on what we can do to give them the best oral health possible. I am passionate about advancing technology in dentistry, and how we can best use it to benefit our patients. I also enjoy getting to work with dental students. They are the future of our profession. It is a wonderful blessing to be able to see the excitement students have for learning new things in dentistry and how to become better dentists. I had the opportunity to marry the love of my life this last August, Lisa. I am exciting of the life we are starting together, and our new Havanese puppy Sage. When not working, I enjoy running, golfing, broomball, trivia, and skiing. I’m a sports nut and can usually be found at most Nebraska sporting events. I have also been very involved as an alumni of FarmHouse Fraternity. Professionally I belong to the Lincoln District Dental Association, the Nebraska Dental Association, the American Dental Association, and the Academy of General Dentistry. Dr. Steven Wirth originally grew up on a farm outside Nebraska City. Dr. Wirth began his career practicing with an office in Corvallis, Oregon. After two years, he desired to further his education and moved to Kansas City to participate in a one year Advanced Education in General Dentistry (AEGD) residency. After his residency in 2011, Dr. Wirth was excited to return to Nebraska to be closer to family and friends. Dr. Wirth also teaches half a day a week at the University of Nebraska, College of Dentistry. When not working, Dr. Wirth enjoys running, golfing, and skiing. He is a sports nut and can usually be found at most Nebraska sporting events. He has also been very involved as an alumni of FarmHouse Fraternity. He has a large, extended family and lots of nieces and nephews with whom he loves to spend his free time. Dr. Wirth is also getting married this coming fall. He is looking forward to the event and starting his life with his new wife. Dr. Wirth belongs to the Lincoln District Dental Association, the Nebraska Dental Association, the American Dental Association, and the Academy of General Dentistry.